Does it steal yours as well? 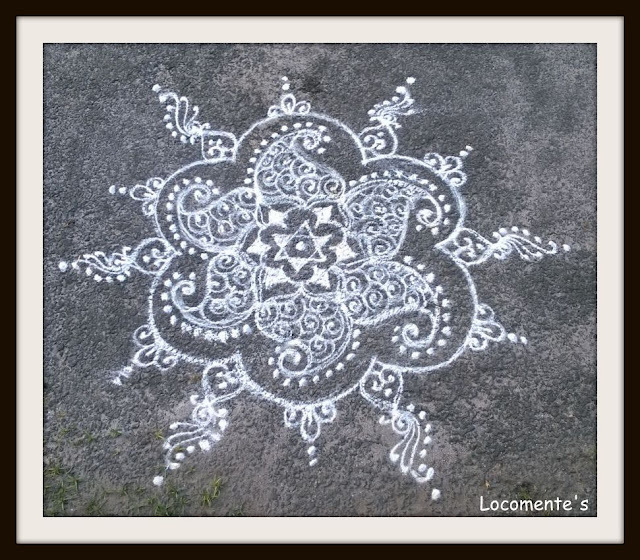 This one is really good as it's difficult to get the symmetry right in such a kolam. I want to stand up and clap. The lines are so perfect! ... lovely drawing, L ... I will try and practise on paper ... good thing I'm not in school anymore cuz otherwise the teacher would tell me: Stop doodling, girl ... smiles ... Love, cat. Nominated you for the Versatile Blogger award. Love your blogs.